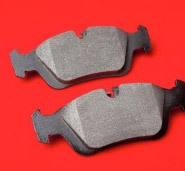 To combine the different properties of rubbers, urethanes, plastics and more. 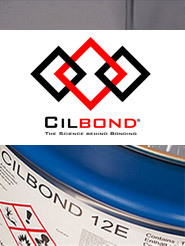 CILBOND is range a of high-performance primers and bonding agents, designed to chemically bond rubber and polyurethane elastomers during the moulding / casting processes to a variety of substrates including metals, plastics and fabrics. Kommerling UK is also a pioneer of one-coat bonding agent technology, with products that combine primer and top-coat technologies for all rubber and urethane types. 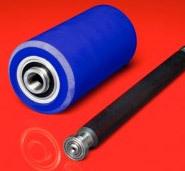 Kommerling UK's unique ability to formulate its own polymers for bonding agent development enable us to outperform products currently available and to exceed industry demands and specifications for bonded components. 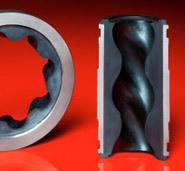 Cilbond 89ET is a speciality one-coat bonding system, capable of bonding a wide range of rubber compounds to metals and other rubbers using conventional moulding techniques. Interested? If you'd like more information about our range of bonding agents and primers, please contact us or call 01772 322888.